YOUNG, JOHN, businessman, entrepreneur, and politician; b. 11 March 1811 at Ayr, Scotland, son of William Young, a cooper, and Janet Gibson; d. 12 April 1878 at Montreal, Que. 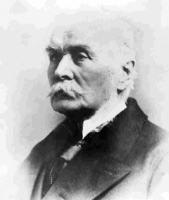 John Young completed studies at Ayr Academy in 1824. At 14, he became a teacher in the parish school at Coylton, a small village near Ayr. After a year, Young left Scotland for Upper Canada, arriving in 1826 and going directly to Kingston to work with a local merchant named MacLeod. In the early 1830s he moved to Montreal to the Torrances’ wholesale merchanding firm. At this time the firm, established by John* and Thomas Torrance, was also active in the steamboat business along the St Lawrence between Montreal and Quebec, and it offered Young ample opportunity to learn the Canadian import and export business and to formulate views of how St Lawrence trade could be improved. After several years as a clerk, Young was elevated to partnership with David Torrance, a nephew of John. The two young men managed the family’s Quebec business between 1835 and 1840. The partnership ended in 1840 and Young formed a new firm, Stephens, Young and Company, with Harrison Stephens*, a Vermonter who had been importing rice, tobacco, and other American goods to Montreal since 1832. The partners probably continued the specialized importing trade begun by Stephens, but in any case handled large quantities of western staples as commission merchants. The firm also had a general merchandising trade, and Young’s prime job was to travel west to Ohio, Illinois, Indiana, and Michigan buying produce and arranging for its storage, shipment, insurance, and, often, the milling of wheat into flour. The scale of the firm’s operations is not known, but they were apparently remunerative. On 31 Aug. 1846 the partnership was terminated by mutual consent and Stephens left the company, but the firm continued importing American goods. Young also formed a partnership with Benjamin Holmes* of Montreal, formerly cashier of the Bank of Montreal; their firm seems to have had extensive trade with Chicago, acting as a receiver of products and as a supplier of imported manufactured goods. 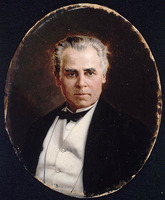 Although Young came to be known as an untiring – and tiresome – crusader for the Caughnawaga canal, and a proponent of improvements to Montreal’s waterways, he was cognizant of the potential importance of railways in improving Montreal’s competitive strength for the trade of the interior. 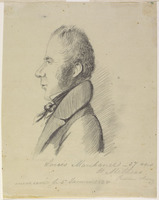 He was informed about economic developments elsewhere and, as an early member of the Mercantile Library Association of Montreal, encouraged the city’s business community to read business periodicals and books from Britain and the United States. With other Montrealers, Young was an early participant in the St Lawrence and Atlantic Railroad Company, authorized to build a line from Montreal to Portland, Maine, in 1845. A director from 1847 until 1851, he supported Alexander Tilloch Galt* in raising capital by placing the company’s bonds with London bankers. Young was an active supporter of Louis-Hippolyte La Fontaine* in the 1847 elections and may have helped the railway gain favourable legislation in 1849 from the new Reform ministry. To Young, the St Lawrence and Atlantic promised communication to a winter port and a probable lessening of transportation costs to the ocean. Young also favoured the Intercolonial Railway scheme of the early 1850s, by the Saint John River route. Young also assisted Father François-Xavier-Antoine Labelle*’s efforts in the 1860s and early 1870s to build the Montreal Northern Colonization Railway to Saint-Jérôme and Ottawa. As early as 1856 he had been interested in Joseph-Édouard Cauchon*’s plans for the North Shore Railway from Quebec to Montreal. Young had been among the first to see the need for a bridge at Montreal to bring a railway from the south shore to the city’s harbour and from 1845 he urged the construction of Victoria Bridge, completed ultimately in 1860 [see James Hodges]. He used his position as harbour commissioner to promote on the North Shore’s behalf a new bridge over the St Lawrence. Despite objections from his fellow commissioners, the Montreal Board of Trade, and the Corn Exchange that the proposed Royal Albert Bridge was a “serious danger and obstruction to the navigation of the river and Harbour,” Young in 1876, unsuccessfully, carried his minority opinion to Ottawa. Not insignificant in his long support for this railway were lots in Montreal’s east end which he held for speculation. Throughout his life, Young’s favourite transportation scheme was the Caughnawaga canal. He had been delighted with the St Lawrence canals when they were opened in 1848, and he believed that to ensure their success another canal should be built from the St Lawrence to Lake Champlain. This canal, he claimed, would greatly improve Montreal’s attractiveness as an entrepôt. After some discussion of the canal in the legislature, an engineer was appointed to recommend the best route. Then a campaign was undertaken to promote public interest and government assistance. The Montreal Board of Trade favoured such a canal but did not wish it to be built from Caughnawaga several miles upstream from Montreal for fear it would injure the city’s entrepôt trade. The board refrained, therefore, from requesting government aid. The government, labouring under its responsibilities for canals and railways, was probably reluctant to build a controversial canal whose estimated cost was £500,000. Young believed that it could be financed privately and in 1849, with Montreal businessmen Harrison Stephens, Luther Hamilton Holton, William Bristow*, and William Dow*, he framed a charter, which was passed by the legislature after violent opposition. Young’s company was empowered to raise £1 million and to decide on the route. Apparently his company never became operative. Further efforts to sway the Montreal Board of Trade, whose endorsement was indispensable for government aid or private investment, proved fruitless. The canal was reported by John C. Jarvis to be viable in 1855; but Young’s insistence that it commence at Caughnawaga was damaging. For nearly 30 years he advocated the scheme in pamphlets, letters to newspapers, and speeches in the assembly, but he was unable to quell Montrealers’ fear that the canal, which would allow vessels to sail from the Great Lakes to New York without breaking bulk, would seriously harm Montreal’s trade. It is difficult to understand why Young was apparently unwilling to meet their objections, and also how he could justify another channel of trade from Montreal to the Atlantic which would compete with the lower St Lawrence and with three railways, in two of which he was himself associated. In business, Young remained a partner in the commission house established in 1846 with Holmes. 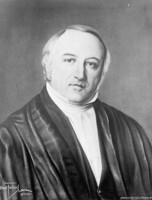 In February 1848, Joseph Knapp was brought into the firm, now Holmes, Young, and Knapp. Young continued to travel west during the winter to buy produce. This partnership ended in December 1849 and Young established a new one with James Benning, a comparative newcomer to Montreal business. Little is known of this firm. However, by 1852 Young had the means to build Rosemount, his impressive country villa, on Côte-Saint-Antoine. Young was involved in other entrepreneurial ventures in the 1850s. One of the more remunerative was the St Gabriel Hydraulic Company. With Montreal miller, Ira Gould, Young in 1850 acquired a lease from the government for water power at the St Gabriel lock on the Lachine Canal. For an annual fee of £420, his company made immense profits by converting what had been intended as a right to use restricted amounts of canal water into a licence to use virtually unlimited quantities. In 1853 a question of abuse of the lease arose but the attorney general east, Lewis Thomas Drummond*, advised that the contract should nevertheless be observed. It is likely that Young maintained his connection with this lucrative company for many years. Young was also interested in telegraphic communications. 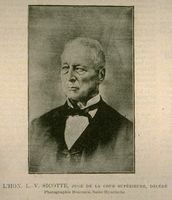 In 1847 he became a promoter of the profitable Montreal Telegraph Company. In 1856 he sought a charter to connect Canada to Britain by telegraph. He headed a group, including Luther Holton, Theodore Hart, and Thomas Cramp*, that formed the Canadian and British Telegraph Company, chartered in 1859 to build a telegraph line via the St Lawrence River and Labrador to Britain. Young was also a leading figure in the company, composed essentially of Montrealers, including Sir George Simpson*, L. T. Drummond, Holton, and Antoine-Aimé Dorion*, that received a charter for the Transmundane Telegraph Company, to build a line west by way of Alaska to the Orient. These projects failed but in 1869 he and Galt sought to recharter the Canadian-European Telegraph Company. Despite cooperative arrangements with the Great Western Telegraph Company and Hugh Allan*’s Montreal Telegraph Company, Young’s company could not raise sufficient capital. In 1872 he asked the federal government to guarantee a net dividend of 5 per cent on the $4,000,000 needed to finance the building of the line from Gaspé to Scotland. Like many businessmen in Montreal Young was interested in politics. He viewed government essentially as an instrument for economic development, an agent for “progress” and for ensuring a favourable atmosphere for commerce. He appears to have had no strong political interests during the early 1840s when he was building up his own business. However, by the late 1840s he was favouring moderate liberalism and in 1847 he nominated La Fontaine in Montreal. Young’s interest in free trade was probably a reason for his adherence to the Liberals. From them he would have expected effective measures of tariff reform and an attempt to seek the elimination of imperial restrictions on American shipping. 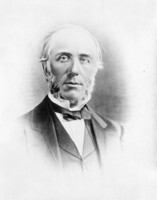 Soon after the end of the corn laws, Young established, in 1846, the Free Trade Association in Montreal, and with a group of local merchants, including Thomas Kay, Henry Chapman, and John Glass, he advocated removal of all restrictions on Canadian trade. In their weekly newspaper, the Canadian Economist, for which Young wrote many articles, the Montreal free traders set forth the benefits to Canada of free trade. Young also advanced his views before the reluctant Montreal Board of Trade, dominated by the more conservative and protection-minded merchants. He continued to uphold free trade throughout his career. 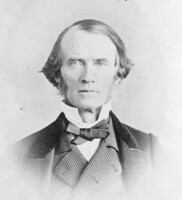 Young strenuously opposed annexation to the United States in 1849, and was one of the few Montreal merchants who refrained from signing the Annexation Manifesto. Lord Elgin [Bruce*] believed that Young wrote two letters in 1849 in the Pilot and Journal of Commerce, which argued against annexation on the grounds that Canada would thrive “if our commercial legislation is conducted with ordinary judgement.” Young had faith in the viability of the northern economy and St Lawrence river transportation system and in the continuation of traditional Canadian trade with Britain. Young resigned from the Executive Council in September 1852 but he retained his seat for two parliaments. As minister he took special interest in measures to improve navigation on the St Lawrence River. He believed that a bi-weekly service between Montreal and Britain during the navigation season and a monthly service in winter from Britain to Portland, Montreal’s Atlantic outlet, would greatly enhance the competitive position of the St Lawrence. The service began in 1853 and won widespread approval in Montreal. In his report to parliament as chief commissioner, Young displayed his familiar preoccupation with waterways and a canal from the St Lawrence to Lake Champlain. Young left the ministry over its proposal to impose higher tolls on American than on Canadian vessels using the Welland Canal and its decision to set higher rates of duty on semi-processed and manufactured goods imported into Canada through the United States. As a free trader, Young expressed dismay at a policy which was solely an act of retaliation against the United States for its failure to adopt reciprocity. Young’s resignation also reflected his increasing chagrin over the ministry’s coldness to the Caughnawaga canal. A third reason was probably his sharp disagreement with Hincks. By the summer of 1852, Hincks favoured the Grand Trunk scheme of Thomas Brassey and William Jackson. 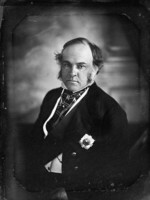 As a cabinet member, Young was unwilling to accept the Grand Trunk scheme, especially since he himself was associated in an alternate company with Galt, Holton, and David Lewis Macpherson*. As a member of the assembly Young supported many government measures. He endorsed the bill presented in April 1853 by George Brown and Adam Johnston Fergusson Blair* to abolish rectories, and the June 1854 motion of Joseph Hartman* and Louis-Victor Sicotte* calling for measures to abolish seigneurial tenure and secularize the clergy reserves. 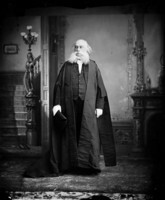 But although an “advanced-Liberal” on some questions, Young did not identify himself with the anti-clericalism of the Rouges or the opposition of the Brownites to “Catholic power.” In August 1852 he introduced and piloted through the assembly a bill to establish Collège Sainte-Marie in Montreal. Young ran for election again in Montreal in 1854 and was careful to present himself as an opponent of the Hincks–Morin ministry, whose reputation had been damaged by revelations of trafficking in securities. He claimed to be running not as a “political man” but as a “mercantile man” interested solely in Montreal’s trade. Again the Conservative Montreal Gazette recommended him as an “honest and straight-forward man.” Young even temporarily muted his views on free trade and the Caughnawaga canal. Along with Luther Holton and Dorion, he was returned for Montreal (now a three-seat constituency) in the Rouge sweep of the city. Although nominally a Rouge, he said little in the assembly except for a few brisk contributions on his favourite subjects of transportation and tariffs. After 1863 Young continued his independent Liberal ways. In 1869 in a speech at Waterloo, Ontario, he attacked confederation and called for greater independence from Britain. Both Hugh Allan and Brydges wrote to John A. Macdonald* in 1869 that Young was in New York promoting the annexation of Canada and obstructing hopes of a commercial treaty with the United States. Again in 1871, Young proclaimed that confederation was only “a transition State,” and although he opposed “political annexation” he called for “commercial annexation.” His proposed Zollverein would include complete freedom in trade between Canada and the United States and in the use of waterways. This heresy against Montreal Conservative interests was compounded in 1872 when Young supported the Parti National, a Liberal organization attempting to win clerical support for the Liberal party in Quebec. Montreal Conservatives spared no attempt to destroy it. Young acted as a moderate in the Parti National and influenced it to support free trade and a Pacific railway. 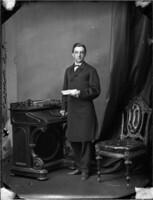 With its help Young formed part of the Montreal Liberal team that unseated George-Étienne Cartier in Montreal East, and Young himself defeated George Alexander Drummond* in Montreal West in the federal election of 1872. 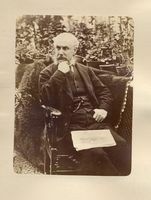 Despite this auspicious beginning Young’s new parliamentary career was lack-lustre and in 1873 he declined to run again. Probably Young’s most notable achievements were with the Montreal Harbour Commission. Appointed to it in 1850, he became chairman in 1853. The commission was established to supervise wharves and improve the ship channel; its functions overlapped with that of Trinity House, Montreal, which under the Navigation Acts oversaw navigation in the St Lawrence. In 1868 Trinity House was abolished and with strong pressure from Young its functions were assumed by the Montreal Harbour Commission. Young was also largely responsible for the transformation of the commission into the National Harbours Board. Young’s attitude to the harbour seems to have mixed public good and personal gain. He owned land in the east end of Montreal and consistently urged expansion of the harbour into the Hochelaga Bay region. His support for a bridge in east Montreal, via Île Sainte-Hélène, coincided with his land speculations. At the very least, Young did not let his position as commissioner interfere with his private business. He sold both land and buildings to the commission for their offices; the Montreal Sailors’ Institute took office space in two different buildings which Young owned. Yet Young’s 25-year contribution to the development of the harbour far transcended any personal interest. He understood the significance of Montreal’s harbour facilities in the struggle between the St Lawrence and American canal routes. Attacking what he called “the farthing-candle policy” of the Grand Trunk and the government in not developing the harbour, Young consistently called for improved facilities throughout the St Lawrence channel. The Welland and Lachine canals, buoys below Quebec, the training of river pilots, wharving, and the duty structure were all given close attention by Young. This concern with detail and his predilection for facing problems head-on seem to have been his primary assets on the commission. However, personal struggles, often at a petty level, offset his effectiveness. His attacks on Hugh Allan were typical. Whether criticizing the fresh fruit on the Allan steamships or the depth of the ship channel between Montreal and Quebec, or disputing whether he or Allan had originated the idea of steamer service between Quebec and Britain, Young’s battles regularly ended in public name-calling and personalities. (In 1847 a series of articles he wrote in the Pilot led to a Sunday morning duel with W. S. Turner: despite two shots each, no one was injured.) Yet Young maintained business contacts with Hugh Allan and continued to curl with him and Andrew Allan*. In this period Montreal’s harbour grew to over eight miles and Young envisaged a harbour of 16 miles. By 1878, wharves extended from the Lachine Canal basin in the west to the Hochelaga Wharf. In 1851, 258 overseas ships with a tonnage of 70,910 visited Montreal; in 1874, 731 ships with a tonnage of 423,423. Young never gave up his efforts to incorporate much of the American west as well as the St Lawrence and Ottawa trade into the harbour’s vortex. To facilitate trade with the north shore of the St Lawrence he envisaged a tunnel through Montreal mountain and a new railway complex at the east end of the harbour. He constantly criticized what he interpreted as selfish policies by the Grand Trunk, attacking the location of their yards in Pointe-Saint-Charles, the blight their tracks had brought to the centre of Montreal, and the inadequacy of their loading facilities. He was probably responsible for the Harbour Commission’s insistence that the Grand Trunk pay its fair share of the harbour’s costs. Young was particularly interested in deepening the ship channel through the shallows of Lac Saint-Pierre. He realized that in the age of the steamships and improved oceanic communication the depth of the channel was critical. In November 1851 it was only 12’6” but by 1854, owing to his efforts, was 16’. The Harbour Commission records for 25 years abound with evidence of Young’s efforts to acquire capital to deepen the channel. He considered himself an engineer and was fond of visiting controversial points on the river to take soundings and to challenge engineers’ reports. The deepening in Lac Saint-Pierre in 1866 brought charges from Young of unnecessary expense and delay. He apparently forced the Montreal Board of Trade to choose between him and his fellow commissioners. 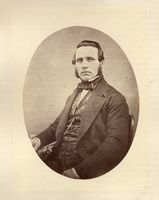 Ultimately dismissed from the Harbour Commission by Cartier for his obstreperousness in 1866, Young continued to air his case in the public press, and throughout 1867 and 1868 a correspondence was carried on in the Gazette between Allan and Young. 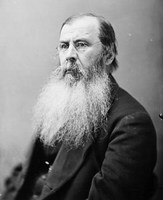 However, Young would again be commissioner in 1870–72 and 1873–78. In 1860 Young’s fortunes had been at their peak and he reported that he had shipped 100,000 barrels of flour to Portland since the rail link opened. Although president of the Royal Canadian Insurance Company, Young’s interests centred on his forwarding business as well as the harbour and land speculation. In 1860 he proposed a new storage complex on the Lachine Canal with facilities for 200,000 barrels of flour and 500,000 bushels of wheat. He assured a business associate that he had assembled land worth $18,000 and buildings worth $7,000. His plans included a swing bridge to link railway lines into the complex. Young had also received rights from the government to use water power from the canal to operate the elevating machinery and permission from the city of Montreal to buy streets in the area. With investments such as these Young was able to retire from active business in 1860. During his last years he dabbled in politics, maintained his strong interest in the Harbour Commission, and spent more time with his family and his curling. 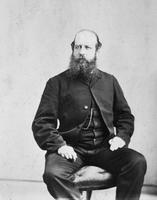 In 1860 he served as Montreal chairman for the visit of the Prince of Wales, the future Edward VII. The following year he moved with his wife, Amelia Jane Tilley, and his 13 children to Scotland for two years to ensure their proper education; the old country only reinforced his Scottish scrappiness. On the return voyage Young and his family were shipwrecked off Newfoundland on the Anglo-Saxon. Young was the most prominent witness in the investigation and attacked both the captain’s competence and the Allan Line Steamship Company, owners of the vessel. 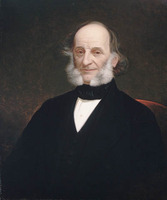 He served in 1864 as a commissioner to Washington on the reciprocity treaty; he remained active on the Montreal Board of Trade of which he was president in 1855, 1860, 1870, and 1871; he was the first president of the Dominion Board of Trade in 1871. 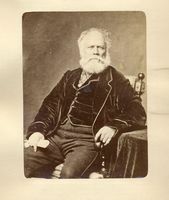 Perhaps as a result of financing difficulties in his transatlantic telegraph and land speculations, Young’s circumstances soured in the 1860s and by 1872 he was impecunious. Rosemount, the family estate, was sold and thereafter the family moved regularly. In 1873 the Harbour Commission petitioned the federal government for permission to grant Young a pension out of its funds. Young himself wrote plaintive letters to Cartier, Hincks, and Macdonald begging assistance for his “position of urgent necessity.” A year later, although still on the commission, he continued to ‘request a pension of $20,000 from Macdonald. However, Young’s Montreal enemies had no intention of permitting him to enjoy a government pension. 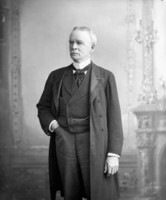 William Workman, in particular, reminded Macdonald of Young’s Liberal associations, his free trade proclivities, and his failure to protect Montreal interests. He accused Young of profiting from a $400,000 Harbour Commission contract let through Young’s nephew in Scotland. Instead of a pension, Young had to accept from the Liberal administration of Alexander Mackenzie* a number of patronage positions. 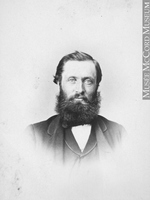 After his short term in parliament in 1872–73 he became flour inspector for the port of Montreal and also served as chairman of the Baie Verte Canal Commission. He continued writing pamphlets in favour of free trade, canals, and railways. 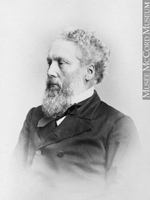 His last public service was in 1877 as Canadian commissioner to the international exhibition in Sydney, Australia. Afflicted by sunstroke while returning, Young died in Montreal of heart trouble 12 April 1878. John Young was one of the best-known public figures in Montreal in the mid-19th century. He shared the assumption of his fellow merchants that the St Lawrence was potentially the most advantageous commercial outlet from the west, and their aspiration that Montreal thrive on this trade, but he had different views as to how the goal could best be achieved. He championed free trade and the Caughnawaga canal with the persistence and fervour of an evangelist. In his later years he supported the commercial annexation he had so strongly opposed in 1849. Despite the attacks and ridicule lavished upon him by his fellow businessmen, who feared his projects and his pen, Young was in many ways representative of his class, place, and time. He was a businessman in the export-import trade, an entrepreneur in a number of railway and telegraph ventures, a land speculator, and a dabbler in other ventures. Businessmen of this type assumed that the prime role of the state was to improve the climate of enterprise by building the necessary facilities, providing assistance for others, and following the “right” policies. Young could hardly have been president of the Montreal Board of Trade several times and harbour commissioner for so many years without the support of many Montreal businessmen who recognized him as a maverick but nevertheless one of their own. The merchants of Montreal buried him with respect and since he left a meagre estate provided a lavish headstone for his grave. [Young wrote a great deal throughout his life, for he avidly threw himself into public debate on questions of policy that vitally affected Canadian trade. He expressed his views in reports to the Montreal Board of Trade and in speeches on local public occasions. He was indeed the most prolific Montreal polemicist of his era. Young’s best-known and most representative writings are: Views of the commercial policy of Canada (Montreal, 1853); “Montreal,” Encyclopædia Britannica (8th ed., 21v., Edinburgh, 1853–60), XV, 521–24; Letters to the Hon. Francis Lemieux, chief commissioner public works, on Canadian trade and navigation, and to the citizens of Montreal, on the commerce of the city and the means of its further development (Montreal, 1855); Reply to J. C. Trautwine, C.E., on the subject of the construction of docks at Montreal (Montreal, 1859); Rival routes from the west to the ocean, and docks at Montreal: a series of letters . . . in reply to letters of “A merchant,” written by W. Workman (Montreal, 1859); On the changed opinions of the Montreal Board of Trade on the canal to connect the St Lawrence with Lake Champlain (Montreal, 1866); Three letters on Canadian independence (Montreal, 1869); [ ], Independence of Canada; Waterloo meeting; speeches of Hon. John Young, Hon. L. S. Huntington and Rudolph Laflamme, esq., Q.C., delivered at Waterloo, Oct. 2, 1869 (Montreal, 1869); [ ], Letters, &c., first published in the “Northern Journal,” during 1871, by the Hon. John Young, on various questions of public interest (Montreal, 1872); North Shore Railway: a brief sketch of its commercial relations and financial prospects (Montreal, 1872); Memorandum for contractors, prepared by the directors of the Caughnawaga Ship Canal Company (Ottawa, 1873); Remarks on the Montreal harbour and the Lachine Canal (Montreal, 1875); The origin of the Victoria Bridge (Montreal, 1876). Young wrote numerous letters to Montreal newspapers under his own name and also under the pseudonym “A Merchant.” Evening Telegraph and Daily Commercial Advertiser (Montreal), 9 Aug. 1866. Gazette (Montreal), 12 June, 9 July 1868; 13 April 1878. Globe (Toronto), 28 Aug. 1863; 26 Oct. 1867; 7 May, 12 June, 9 July 1868. La Minerve (Montréal), 29 août 1863. Montreal Gazette, 16, 23–25, 30 Oct. 1844; 6 Oct. 1847; 26 May, 4 Aug. 1849; 3, 5 Nov. 1851; 9 Jan., 30 Aug., 23 Sept. 1852; 13 April, 21, 31 May, 1, 3, 4, 12 June, 4 July 1853; 15, 17, 26 July 1854; 26 Oct. 1867. Morning Courier (Montreal), 17, 24 May, 19, 29 June, 26, 28 July, 4 Aug. 1849. See also: Montreal Herald, 13, 15 April 1878. G. Tulchinsky and Brian J. Young, “YOUNG, JOHN (1811-78),” in Dictionary of Canadian Biography, vol. 10, University of Toronto/Université Laval, 2003–, accessed April 24, 2019, http://www.biographi.ca/en/bio/young_john_1811_78_10E.html.